Ever dream of playing the hero in your favorite adventure story? Adventure games give people the opportunity to explore a new world and take on the role of the lead character. Adventure games can also be educational. A great adventure-based learning game for kids is the online virtual world here at JumpStart.com. 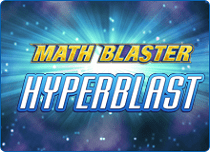 Encourage kids to play JumpStart and experience the thrill of learning through discovery! 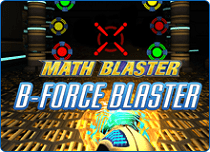 B-Force Blaster is an action-packed shooting game where your little ones collect points as they race through the space training simulator and blast targets and enemies that come in the way! 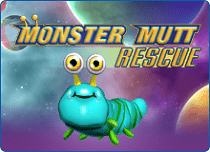 Here’s a fun game where your kids get to raise, train, and play with a rare Monster Mutt and watch it grow. 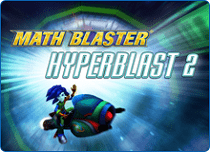 Get this superpower-studded game now! If you’re looking for a dose of unadulterated adventure, then JumpStart has just the game for you! The virtual world at JumpStart.com includes the exciting AdventureLand. As the name suggests, this mini-world offers players the opportunity to set out on thrilling expeditions and complete challenging missions. Ideal for kids aged between 5 and 8 (kindergarten – 3rd grade), this land includes a variety of fun adventure games. Players can set off on an exhilarating journey to explore forgotten areas and save a lost island. What makes JumpStart’s adventure games all the more special is that kids get to learn and have fun simultaneously. 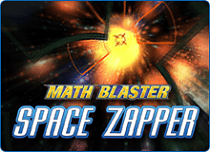 The Jet Pack game in AdventureLand will test kids’ math and reading skills as they zap the right answers to all the problems to complete a mission. Who said online adventure games can’t include some fun educational lessons as well? Get started on AdventureLand and become a Jumpee explorer today! The primary characteristic of adventure games is the storyline. An adventure game focuses on the ability of the protagonist (player) to be able to solve problems and move ahead in the game. It encourages players to use their deduction skills and solve puzzles to unfold the story further. For such games, the theme and story setting are instrumental and form the foundation on which players advance. Players must typically complete all the missions before they can win. There are a host of free online adventure games available for people of all ages. There are myriad options available for people of all ages when it comes to playing free online adventure games. Since plot and themes are instrumental to such games, the games primarily vary on the basis of different themes. From fantasy and sci-fi games to mystery, horror and comedy games, there are enough and more options for all! Players can take on the role of detectives or scientists and solve crimes, complete quests or simply solve puzzles and complete all the missions. Online Adventure games on Jumpstart.com will run in most browsers, and require you to have a reasonably recent graphics card and Windows or Macintosh operating systems of recent vintage.